Receive a 30-day free trial of our Premium data service when you install Incredible Charts. Operating system: Windows XP (SP3 or later), Server 2003 (SP2 or later), Server 2008, Server 2012, Vista, Windows 7, Windows 8, Windows 10. When the download is completed, Open the file. 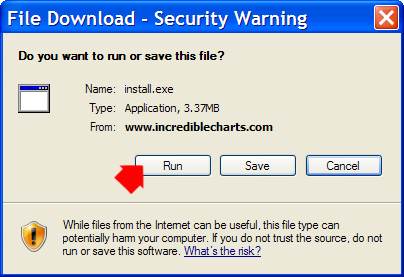 If the installer does not start automatically, start it from your Desktop or Downloads folder. 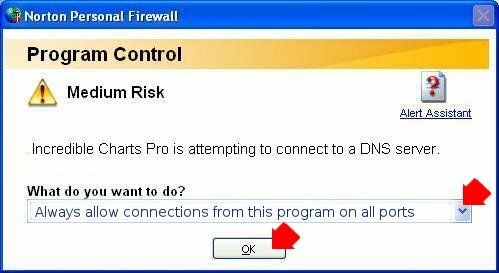 If prompted by your firewall, select Allow	connection to the server. 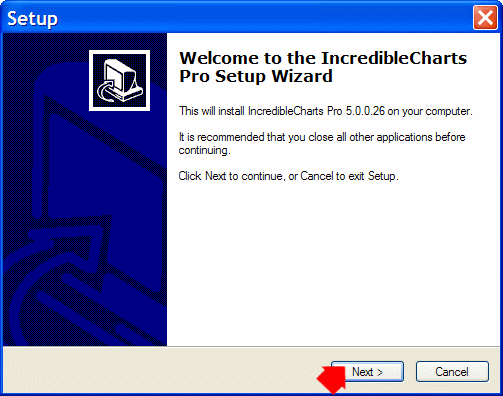 Open Incredible Charts from your desktop or start menu and login with your email address and password.